The international hotel group has added a new resort and market to its already remarkable expansion. 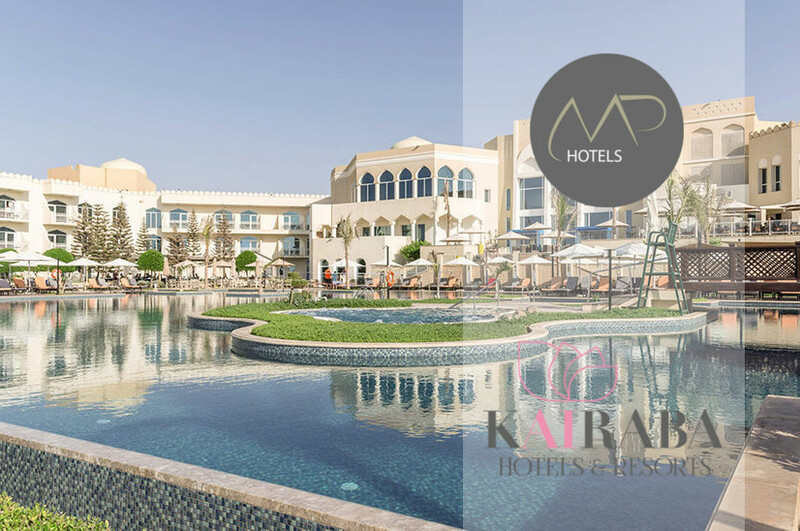 Munich – MP Hotels has officially entered the Oman hotel market with its addition of the 237-room KAIRABA Mirbat Resort. The hotel is the first property for the growing hotel group in the Sultanate of Oman, and a first step towards developing their commercial relationship with the country. Additionally, it is the first hotel to be launched under the brand of KAIRABA Hotels & Resorts. Driven by the brand’s slogan “Holistic Holidays” concept, vacations at KAIRABA Hotels & Resorts blend magnificent settings, luxurious rooms and world-class entertainment. In today’s highly industrial and globalized world, it is getting harder to find untouched spots. KAIRABA Hotels & Resorts are places for relaxation with luxury amenities in remote places, where guests can explore secluded natural wonders from extravagant beach-side locations. The Ultra-All-Inclusive, 5-star beachfront property, KAIRABA Mirbat Resort, will be open for business on October 1st. The hotel will have a lodging portfolio of 267 high-end rooms, suites and villas. As well as a varied collection of onsite restaurants, and bars. The property will also be the home to a 2000 m^2 pool. A sizeable dreamlike pool that also happens to be the largest in Oman. Located in the scenic Dhofar region of Oman, near Salalah, one of the most unique natural areas of the Arabian peninsula, home to lush palm trees, greenery, and exotic beaches, the KAIRABA Mirbat Resort will provide guests with a premium experience in a desired setting. Oman already has an existing and emergent demand from high-end tourists and business travelers of the Gulf Country Council states. However, with the ongoing rise in 4 to 5 star tourism arrivals from other nation states, hotels like KAIRABA Mirbat Resort are perfectly positioned to meet this budding demand. In 2011, Meeting Point International, the holding-company of all local Meeting Point destination management companies, entered the Sultanate with Meeting Point Oman. The latter has become a leading destination management company in Oman. The FTI Group, the Munich-based parent company of both Meeting Point International and MP Hotels, has also been a significant provider of tour charters from Europe to Oman. With the introduction of this new hotel, Meeting Point International is additionally strengthening its position within the Sultanate. Founded by FTI Group in September 2015, Meeting Point Hotels is an international hospitality company with a portfolio of five brands comprising more than 60 properties with more than 14,000 rooms, in 10 countries and 4 continents. The company’s portfolio includes LABRANDA Hotels & Resorts with its five sub brands that include select, comfort, balance, family star and city, Design Plus Hotels, Kairaba Hotels & Resorts, Clubs and Lemon & Soul hotels. Located in sunny destinations, by the beach or in close proximity to the beach, Meeting Point Hotels is dedicated to serve guests hospitality with a smile and deliver authentic experiences with a local flair. Whether couples, singles, families or friends from sun-seekers, sports fans, culturally interested or just enjoying the local cuisine, Meeting Point Hotels has the right choice for everyone. Visit us on MPHotels.com, connect with us on Facebook and Instagram.